Plump up the volume. 41x fuller lashes. 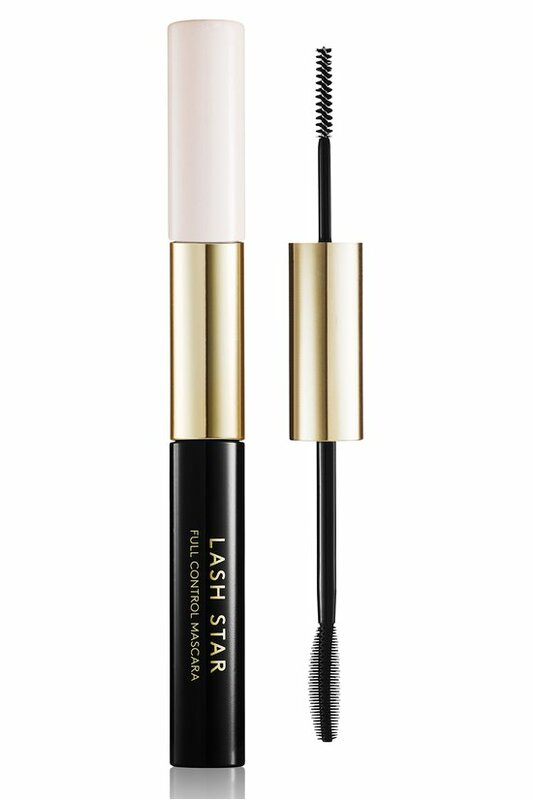 This lash-volumizing mascara is clinically proven to boost lash volume up to 4,100%. Dual-ended technology recreates Hollywood makeup artist wizardry to amplify thin, barely-there lashes into wowza full volume. Ultra-skinny tightline brush and formula defines and separates lashes at the root to optically fill in the lash line. On the other end, the curved silicone molded brush and formula builds volume and length with eye-opening curl. No clumps, flakes or breaks in sight. TOP LASHES STEP 1: TIGHTLINE BRUSH Keep your chin up and eyes down in front of a mirror. Wiggle the tightline brush deep within the roots of the lashes and slowly roll the wand between your thumb and forefinger, while continuing to wiggle/zigzag very slowly up to the tips. As you apply, slightly close the eye to help nudge the brush upwards. (When you do it correctly, youll feel your lid lift gently off your eye.) This will not only pull the lashes up and into the wand for better curl, but will also saturate them with mascara from root to tip. A game-changing approach is to think of the lashes as a sunburst with three distinct sections, and coax the hairs in the direction they naturally grow: 1. Inner corner of the eye coax hairs to the top of the nose/start of the brow 2. Center lashes coax hairs straight up 3. Outer corner of the eye coax hairs out towards the tail of the brow, adding a little extra dab to open the eye STEP 2: CURVED SILICONE BRUSH Repeat the process from step 1, this time using the curved silicone brush. Once youve coated every section, repeat the process. If you are doing this correctly, you will most likely have smudges, dont worry, its all part of the process. Leave any smudges until application is complete, then erase them with a cotton bud and an oil free cleanser. LOWER LASHES The tightline brush is usually enough for the lower lashes. The defining formula deposits color without being too showy, since the main attraction tends to be the upper lashes. (Although there are lots of looks you can create with dramatic lower lashes, too.) To apply mascara to the lower lashes, put your chin down and look up. It helps to make an O shape with your mouth, which stretches the skin downward for easier access to the lashes. First, use the wand horizontally to deposit a little more mascara at the root, starting from the outside of the eye and working inwards. Then follow up with a final sweep using the wand vertically to separate the lashes. Check to make sure it seems balanced with the amount of mascara on the upper lashes. STEP 1 AQUA (WATER), PARAFFIN, GLYCERYL STEARATE, SYNTHETIC BEESWAX, STEARIC ACID, ACACIA SENEGAL GUM, BUTYLENE GLYCOL, PALMITIC ACID, POLYBUTENE, ORYZA SATIVA CERA (ORYZA SATIVA (RICE) BRAN WAX), VP/EICOSENE COPOLYMER, OZOKERITE, AMINOMETHYL PROPANOL, PHENOXYETHNOL, HYDROGENATED VEGETABLE OIL, STEARYL STEARATE, HYDROXYETHYLCELLULOSE, POLYGLYCERYL-6, POLYRICINOLEATE, TROPOLONE. +/- (MAY CONTAIN): CI 77499 (IRON OXIDES) STEP 2 AQUA (WATER), PARAFFIN, GLYCERYL STEARATE, SYNTHETIC BEESWAX, STEARIC ACID, ACACIA SENEGAL GUM, BUTYLENE GLYCOL, PALMITIC ACID, POLYBUTENE, ORYZA SATIVA CERA (ORYZA SATIVA (RICE) BRAN WAX), VP/EICOSENE COPOLYMER, OZOKERITE, AMINOMETHYL PROPANOL, PHENOXYETHANOL, HYDROGENATED VEGETABLE OIL, STEARYL STEARATE, HYDROXYETHYLCELLULOSE, GOSSYPIUM HERBACEUM SEED OIL (GOSSYPIUM HERBACEUM (COTTON) SEED OIL), HYDROLYZED SOY PROTEIN, HYDROLYZED WHEAT PROTEIN, HYDROLYZED CORN PROTEIN, TROPOLONE, HELIANTHUS ANNUUS SEED OIL (HELIANTHUS ANNUUS (SUNFLOWER) SEED OIL), LECITHIN, ASCORBYL PALMITATE, TOCOPHEROL, CITRIC ACID. +/- (MAY CONTAIN): CI 77499 (IRON OXIDES) Free from parabens, phthalates, sodium lauryl sulfate, triclosan, and artificial fragrances. Not tested on animals. Reach your full lash potential with Lash Star Beauty, the first beauty line focused exclusively on helping you achieve the most fabulous, face-framing fringe of lashes. Their innovative collection of cruelty-free false lashes and eyelash artistry tools take the guesswork out of the perfect lash line, whether your vision is natural or dramatic.